The Kansas Breastfeeding Coalition, Inc. The Kansas Breastfeeding Coalition, Inc. envisions a time to come in which breastfeeding is normal and supported throughout Kansas. Dedicated to the promotion of infant nutrition and well being by actively supporting mothers and breastfeeding. Cover Kansas Coalition focuses on creating access to Health Care that everyone can afford. Need Health Insurance? Cover Kansas Can Help! The Third Thursday Meeting is designed to connect healthcare professionals in Cowley County and surrounding counties. Not only providing many resources for the different organizations but also a way to share events happening in Cowley County. RISE Cowley promotes healthy lifestyles by collaborating to raise awareness and encourage involvement for residents of Cowley County, Kansas. Coalition participation currently has an average meeting attendance of 12+ from multiple sectors.  Members were motivated to change the name “Cowley County Healthy Communities Coalition.” At our March 2017 meeting, the group voted to change the name to RISE Cowley. Partners have a renewed spirit to collaborate to promote health and wellness in Cowley County communities. The coalition meets bi-monthly and alternates meeting locations. Each meeting is started with introductions and “Healthy Happenings.” Most of the coalition work is accomplished by working groups. This format allows community members to get involved while the coalition’s core group can focus on the big picture. 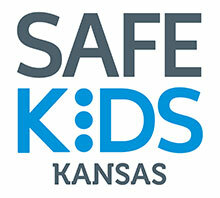 Safe Kids Cowley is led by City-Cowley County Health Department, which provides dedicated and caring staff, operation support and other resources to assist in achieving our common goal: keeping your kids safe. Based on the needs of the community, this coalition implements evidence-based programs, such as car-seat checkups, safety workshops and sports clinics, that help parents and caregivers prevent childhood injuries.